Hello, here is an album made from a variety of Pion Design collections. 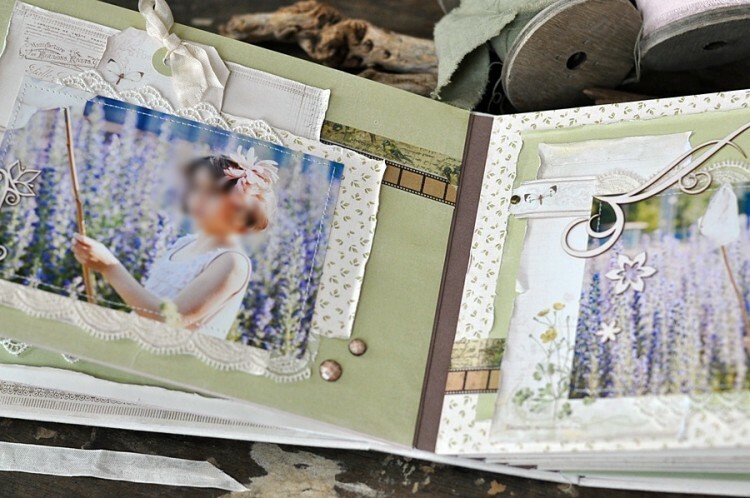 Wow, this was a lovely album, nice photos, colors and papers. Like the decos too. Ewa, this is so beautiful. 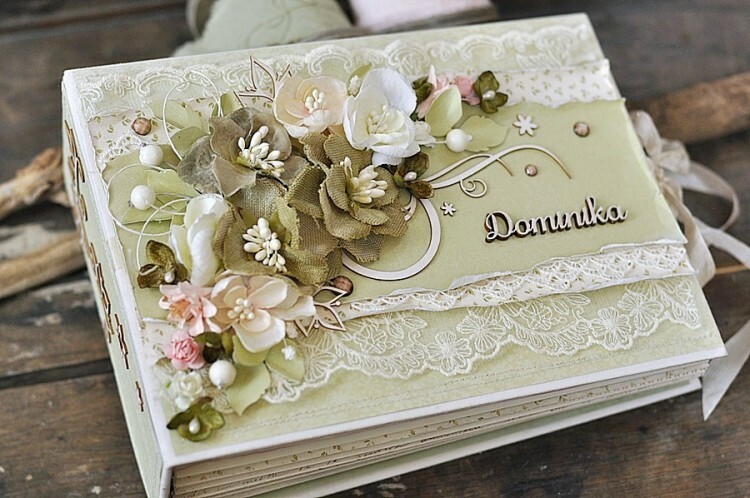 The soft muted colors add so much to its elegance! I love your style! Love the idea you put pockets behind the pics for a story or to identify the photos. You even sewed on this…how creative…just so clever!